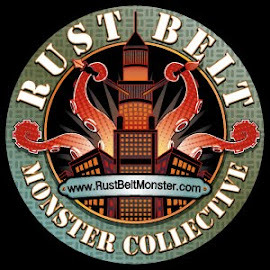 Rust Belt Monster Collective: Ben: Free Comic Book Day Preview! Ben: Free Comic Book Day Preview! Free Comic Book Day is coming up and the Monsters are going to be all over the place! In keeping with the rest of the crew, I'm also sharing my piece for the gallery show. 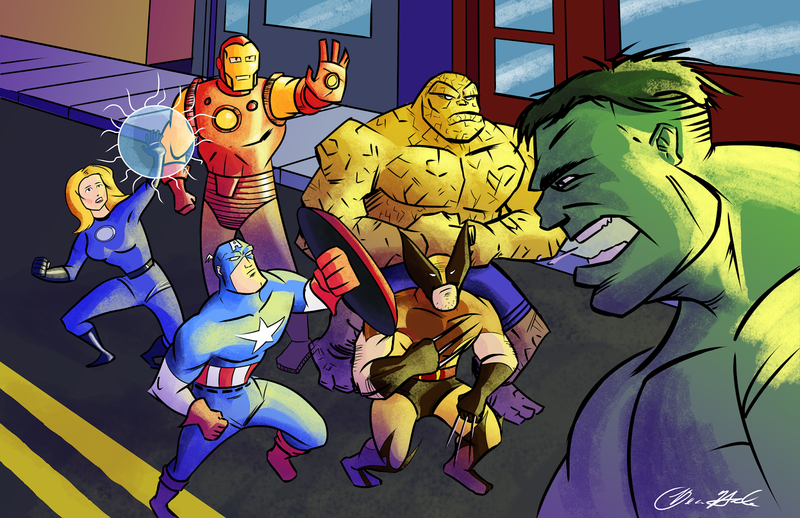 I wanted to draw some of my favorite characters from the period when I read Marvel Comics. Had a good time with this one. Tim: Ole' Cap's punchin' robits' again!